Which Suffolk Holiday Tribe Are You? More people are holidaying in Suffolk than ever before – and who can blame them? It's just 11 more sleeps until Christmas!With the festive season upon us and many guests arriving in Suffolk to celebrate Christmas, what better time than to inform everyone of our Christmas Opening Hours. Aldeburgh and Southwold are known for their independent shops, delis, cafes, pubs and restaurants who offer high-quality products and unique experiences. Calling all Park Run Tourists! Do you have bookings at your property over the Christmas period? Suffolk Secrets is urging local community groups to apply for £10,000 of funding before November 15th 2017 for any project which helps improve the Suffolk Coast &amp; Heaths Area of Outstanding Natural Beauty (AONB) and east Suffolk area. From chariot burials dating back to circa c.2000 BC and the Middle Ages to the Great Plains of America and the Industrial Age, the importance of the horse in the development of human civilisation has been well documented. As the days shorten and the central heating kicks in, is your property prepared for winter? 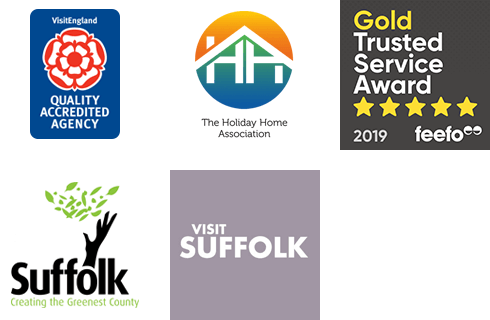 Suffolk Secrets have put together a 10 point checklist to help you have a safe and successful winter of letting. UK holidays are becoming ever more popular, especially for families and groups with a furry friend. Holidaying in the UK eliminates the worry of leaving your dog behind. Woodbridge is one of Suffolk’s most treasured market towns. This November Aldeburgh Cinema will be hosting its ever more successful Aldeburgh Documentary Festival. Summer might almost be over, but there’s no need for the winter blues just yet. An autumnal Suffolk is a beautiful place to be. After a long summer, Suffolk takes a deep breath and relaxes after entertaining its guests.